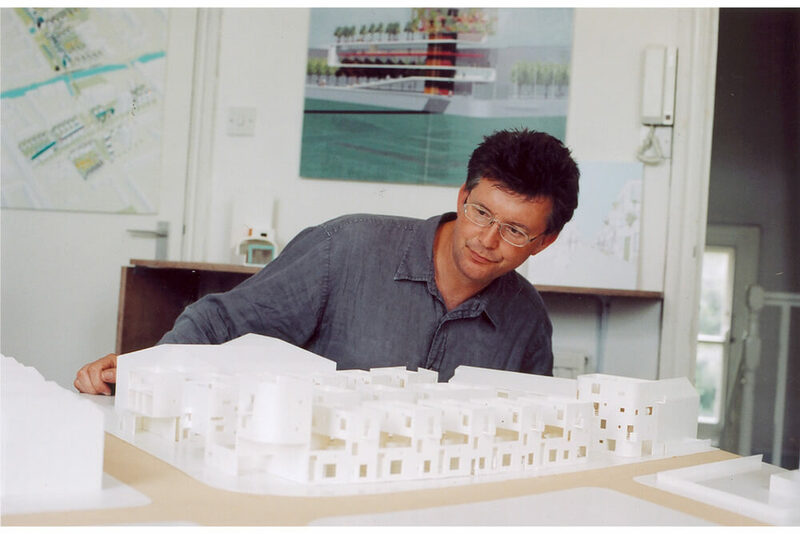 Peter Barber Architects was established in 1989 in studios built by the practice on a canal side wharf in the East End of London. In 2002 the practice moved to a grade II listed Victorian print works which it has refurbished in King's Cross. We are an award-winning design-orientated practice with numerous ground-breaking mixed-use and residential schemes, award-winning planning studies across the UK and individual buildings such as the Villa Anbar, twice short-listed for the international Aga Khan Award for Architecture. In October 2001 the Practice’s Donnybrook Urban Quarter won first prize in the Architecture Foundation's prestigious Innovations in Housing Competition. The project won a Housing Design Award, runner-up in Royal Academy Summer Exhibition, AIA Award and RIBA Award. It was also short-listed to the last 10 for the 2006 Stirling Prize and included in the exhibition of 50 of the most significant UK buildings of the last half century. A series of radical urban housing projects have followed which have variously won Housing Design Awards, RIBA Awards and AIA Awards. Peter Barber Architects was UK Housing Architect of the year in 2007 and 2011 and won the Royal Academy Grand Award for Architecture in 2015. In 2016, the practise’s Holmes Road Studios was the New London Architecture’s Overall Building of the Year and in 2016 and 2017 were included in The Guardian’s top 10 buildings (worldwide) for the year. The Practice's varied portfolio of work is underpinned by a consistent commitment to radical solutions and excellence in design, which has put it at the forefront of a new wave of high profile practices in London. The practice has built unusual and innovative projects with clients such as St Mungo's Community Housing Association, Circle 33 Housing Group, East Thames Housing Group and The London Boroughs of Newham, Enfield, Greenwich, Camden and Barking.